The Carbon Canyon resident decal is one component of the “Carbon Canyon Access Plan” developed by the City of Chino Hills for use in the event of an emergency or extended road closure in Carbon Canyon. 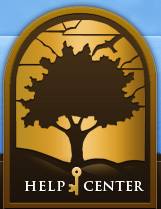 The resident decal would identify Carbon Canyon residents and would allow them access to their homes during an emergency closure, when public safety personnel deem it is safe and appropriate. The Carbon Canyon Access Plan also includes public information and public safety components. Orange County line to Chino Hills Parkway. Identification and appropriate documentation is required. These Conditional Access Decals are issued for motorized vehicles only and will not be issued to trailers. Chino Hills residents and others who commute through Carbon Canyon to access the 57 Freeway, the City of Brea, or other destinations will not be issued this pass. 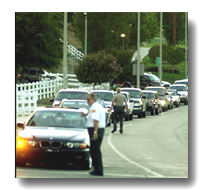 Carbon Canyon Resident Decals shall be valid through December 31st (expires in odd-numbered years). This decal must be renewed bi-annually. To apply for your FREE Bi-Annual Carbon Canyon Resident Decal simply submit an application and bring it with your identification (you must show that you are a Carbon Canyon resident), and registration for each of the vehicles that you need a decal for to the City of Chino Hills, Code Enforcement Division, 14000 City Center Drive, Chino Hills, CA 91709. (Vehicles must be registered to applicant's Carbon Canyon address). Carbon Canyon Resident Decals can be obtained at the Code Enforcement counter on the second floor at City Hall, 14000 City Center Drive from 7:30 am - 5:00 pm Monday through Thursday, and from 7:30 am to 4:00 pm on Friday. For additional information, please contact the Code Enforcement Division at (909) 364-2714. Decals must be hung from the rear view mirror to be valid (motorcycles excepted). Possession Does NOT Guarantee Access! Public Safety considerations take precedence over “Carbon Canyon Resident Decals.” Access is conditional. Residents will be granted access whenever appropriate circumstances exist as determined by a public safety official, the City of Chino Hills Police Department, Fire Department or official designee. Any duplication or unauthorized modification of the decal is strictly prohibited.